So the invite turned out to be legitimate. r.tl hosted a Foodie Night this past Tuesday to showcase their new menu. I was quite surprised that my little blog was actually found and the organizer thought to invite me. 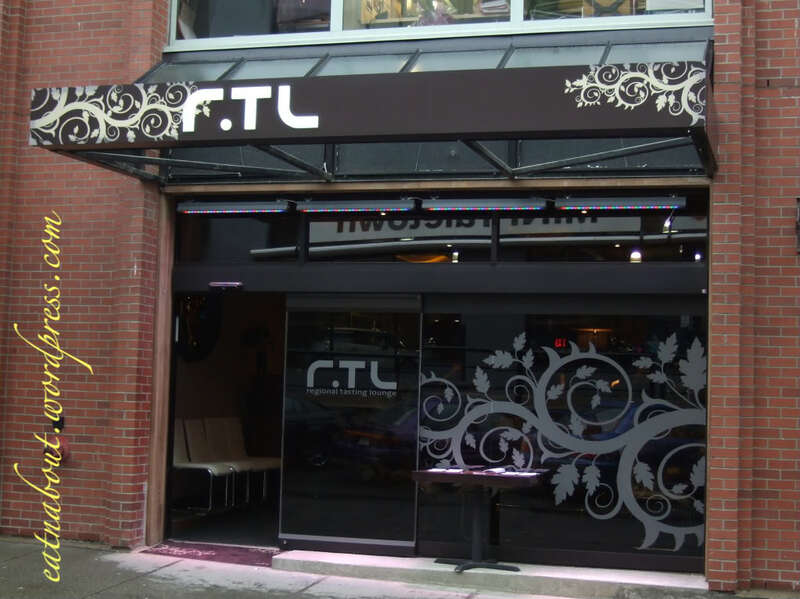 r.tl is located near the edge of Yaletown. Now coming here again has reminded why I hated going to downtown. Parking is a b*tch. One way streets kill me. Anyway, Pretty Sis and I managed to find the restaurant finally. I really like the design of the entrance. Flourishes always make me feel pretty just looking at them! Originally I thought we were going to be late but turns out we were one of the first ones there. r.tl stands for Regional Tasting Lounge. Their concept is pretty simple – offer a variety of dishes from 3 different regions of the world every 3 months. B.C. will always remain as one of the regions. With their new menu, they are showcasing Portugal, France, and British Columbia. They made a special menu just for tonight. It had 5 canape selections plus a number of cocktails. An extensive wine list was also available and was served flight style. 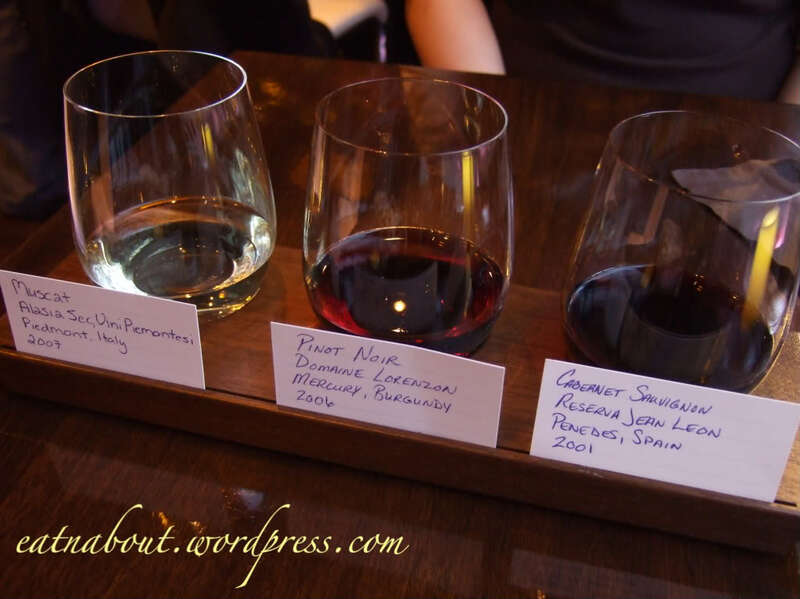 If you don’t know what flight style means, basically you can pick and choose a few wines (for this night we were allowed to pick as much as we’d like) and you get a small amount of each for tasting. You will see what I mean later. So on to the drinks first! Now a thing about their wines. General Manager Alain told us that they’ve recently purchased an “Enomatic” wine machine. What that does is that it injects the inert gas Argon into the wines, preventing the wines from oxidizing. 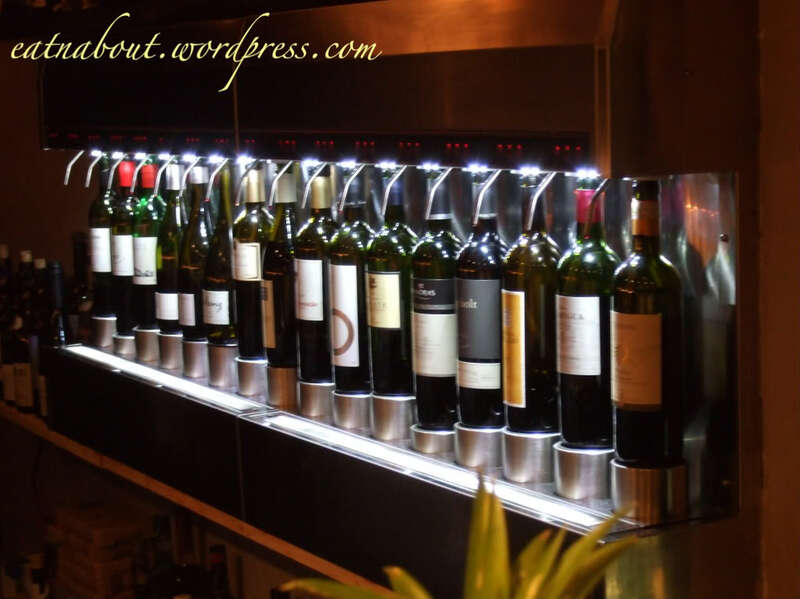 The advantage to this is that they are able to prolong the shelf-life of opened bottles, hence allowing the restaurant to offer more than 40 wines by the glass. If this wasn’t available, for certain wines you will only be able to order by the bottle at other restaurants. Pretty Sis is a intermediate wine drinker, and she knows her wines. She was very appreciative of this, and was very impressed that the restaurant thought of this solution, as it allowed her to try the Pinot Noir from Burgundy without ordering a whole bottle. She loved the Pinot Noir very much, describing it to have notes of Vanilla, Caramel, and Cranberry. It was light, fruity, with a strong aftertaste. The Muscat was interesting to her as she’s only had it as a dessert wine before, never a dinner wine. It was a crisp Chardonnay, refreshing. After tasting the Pinot Noir, she was a bit disappointed with the Cabernet. It tasted too alcoholic, too typical Cabernet, and was not particular aromatic. Sis was also extremely impressed that r.tl chose to use Riedel tumblers, as they are delicate and expensive, but expresses the wine so finely. See? She doesn’t just chug her wines! Va Va Voom was my first drink of the night (isn’t it pretty?). 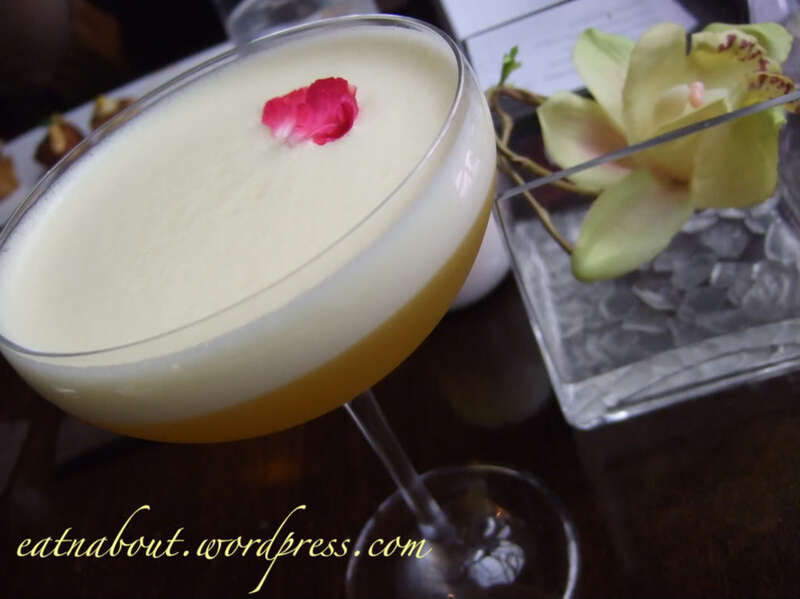 It had Stolichnaya vanilla, peach liqueur, passionfruit nectar, saffron syrup, eggwhite, refresh lemon juice and apple juice. I really really liked this. The eggwhite gave it a smooth and creaminess and was very easy-drinking. This is $11 normally. This is the order drink she had BEFORE the wines. 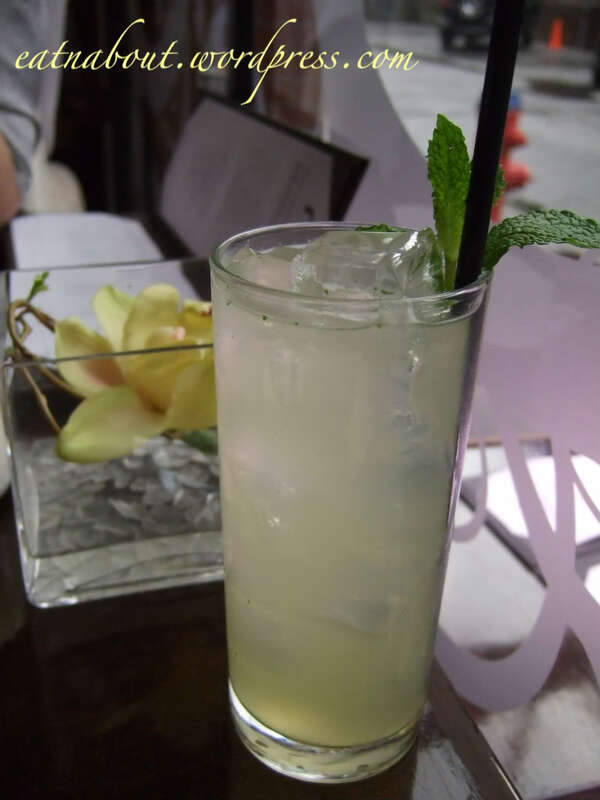 It’s called the Gin Gin Mule, with Bombay gin, house ginger beer, mint, lime juice and soda. I liked this too. It was a very refreshing drink, almost a Mojito but not quite. This one would’ve cost you $10. My second drink is something called Midnight Marauder. 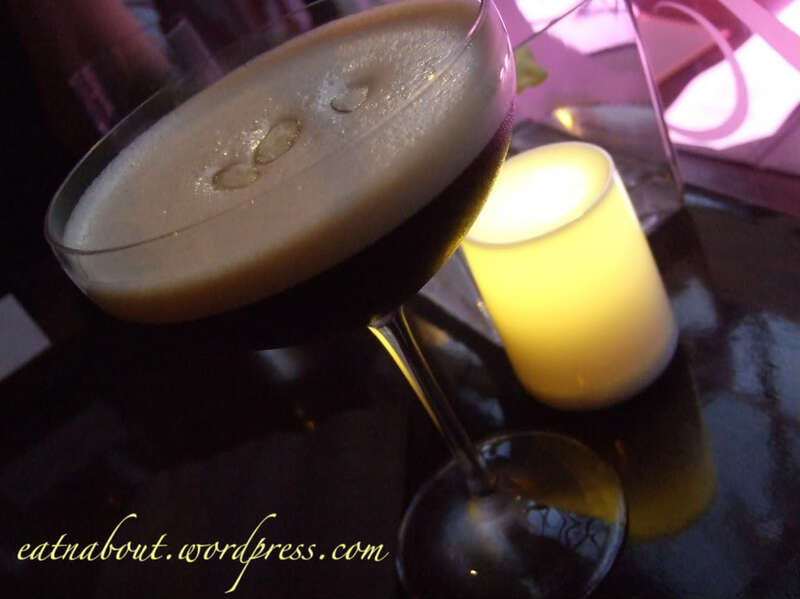 It was made from Brugal Anejo, Tuaca Orange, vanilla liqueur, Orgeat, and fresh espresso. Now those that know me KNOWS that I don’t touch coffee. So why did I pick this? Perhaps from persuasion from my companion, or because the drink looks so mysterious, I don’t know. It wasn’t bad, if you liked black coffee/espresso. It was very strong in that department and this drink was more bitter than I would’ve liked. But that’s my problem, because I only drink sweet alcoholic beverages. Pretty Sis says I always get ripped-off by the drinks since I’m paying for a alcoholic drink without wanting it to taste like alcohol (and we all know how expensive those drinks are). So, like I said, this was not a bad drink at all. Bartender Matt is also extremely helpful and friendly. He seems very knowledgeable about wines, so if you have any questions or want any recommendations, make sure to ask him. 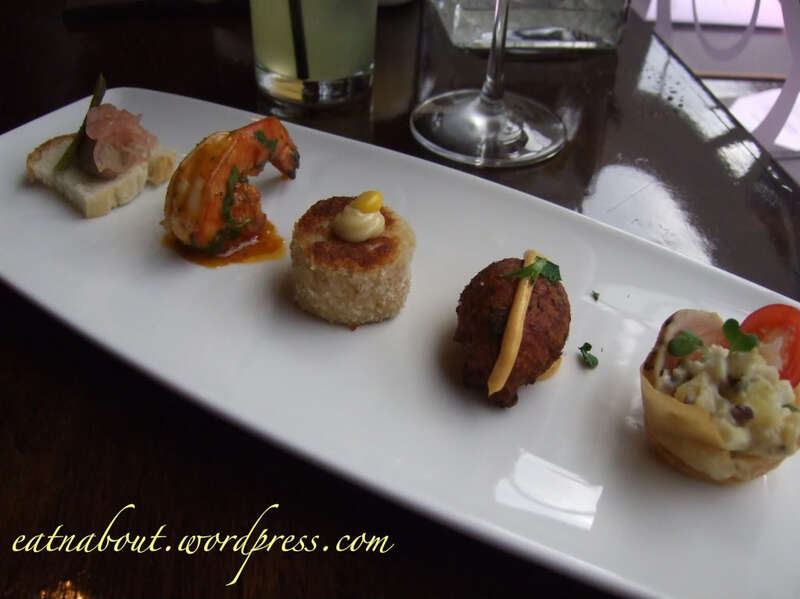 These were the 5 specially selected canapes from their menu. I shall describe them individually. 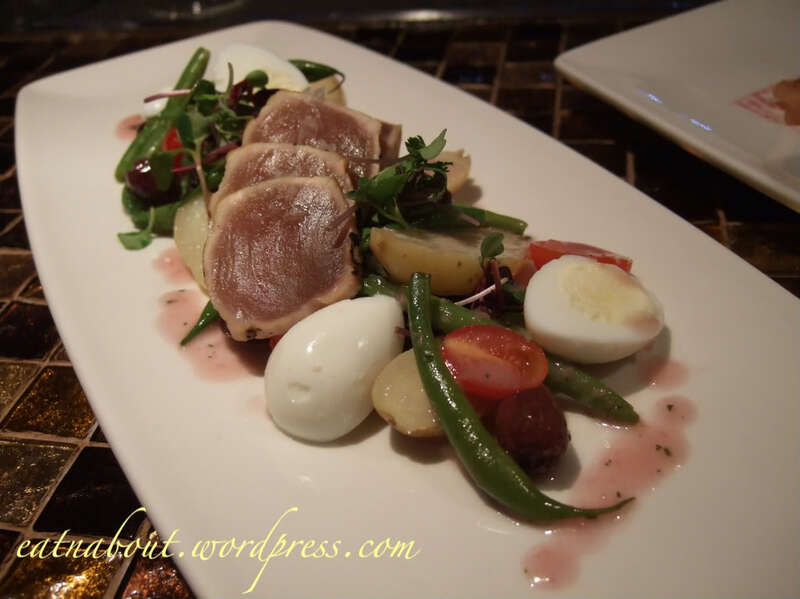 Nicoise Salad (French) – Fresh micro greens, quail eggs, haricot vert nicoise olives, fingerling potato and seared albacore tuna. The whole combination of the canape tasted good, but it was not especially memorable. Perhaps due to the bite-sized portion, everything just kind of mashed together so individual flavors weren’t brought out (ie. the tuna) and it was overall too potato-ey for me. I don’t think I would order this myself. 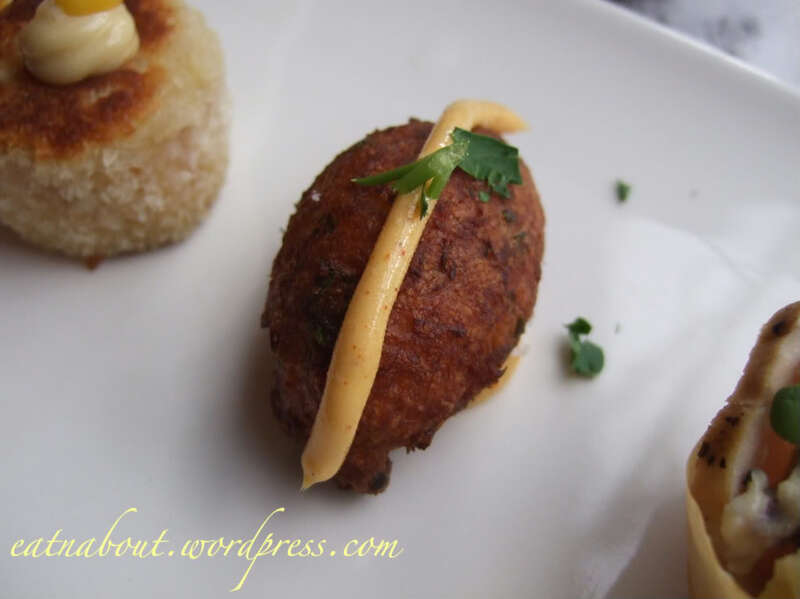 Bolhinos de Bacalhau (Portuguese) – Salt cod fritters with parslet & onion, saffron aioli, piri piri dip & roasted garlic mayo. 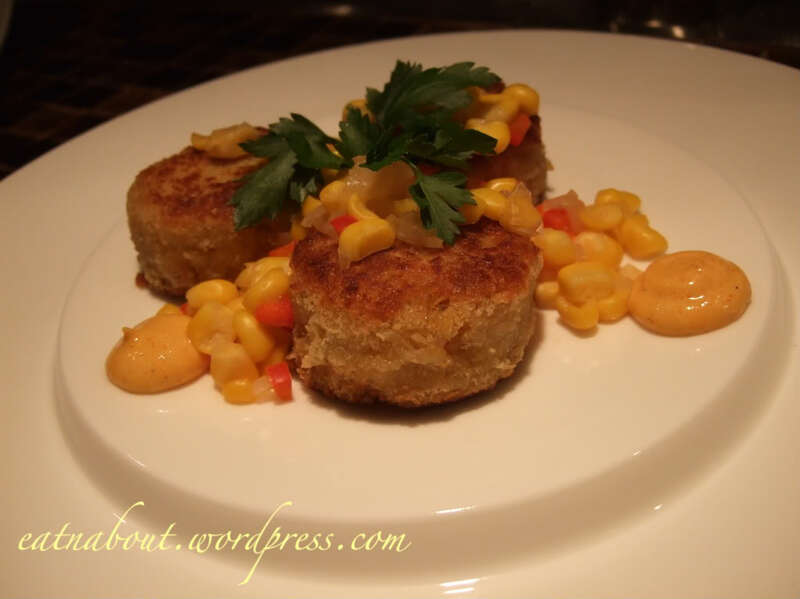 Dungeness Crab & Shrimp Cakes (BC) – Pacific caught crab and shrimp meat, fresh ginger roasted corn kernels & red onion relish. Now Sis is a big crab cake fan. We did enjoy this, as the taste itself was very pleasant. However, she felt this was like your typical crab cake, and for $15 you get 3 cakes, not really a good deal. The flavor of both seafood did not shine through here. 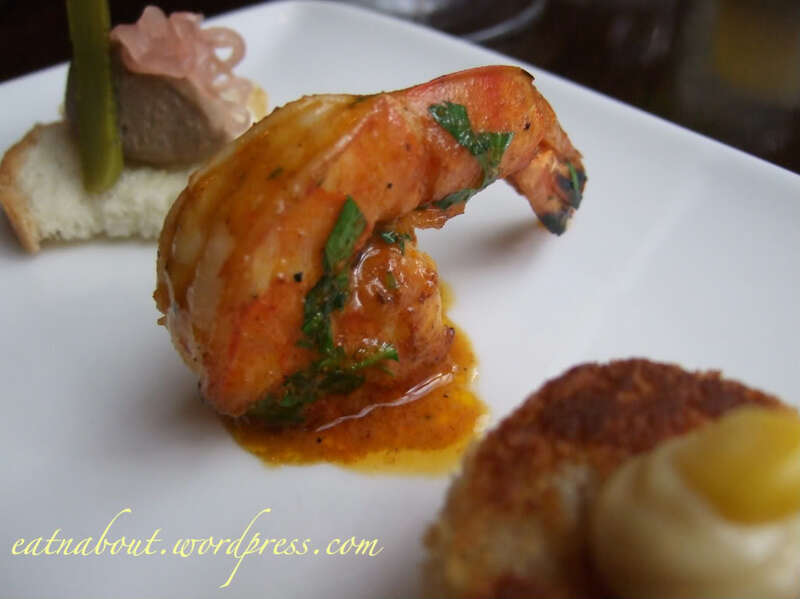 Prawns Piri Piri (Portuguese) – Pan seared wild sea tiger prawns, traditional Portuguese chili sauce. We both liked this very much. The prawns were fresh and meaty, very flavorful. The piri sauce complimented this very well and we wished we could have more of this. It was slightly more spicy than I expected. 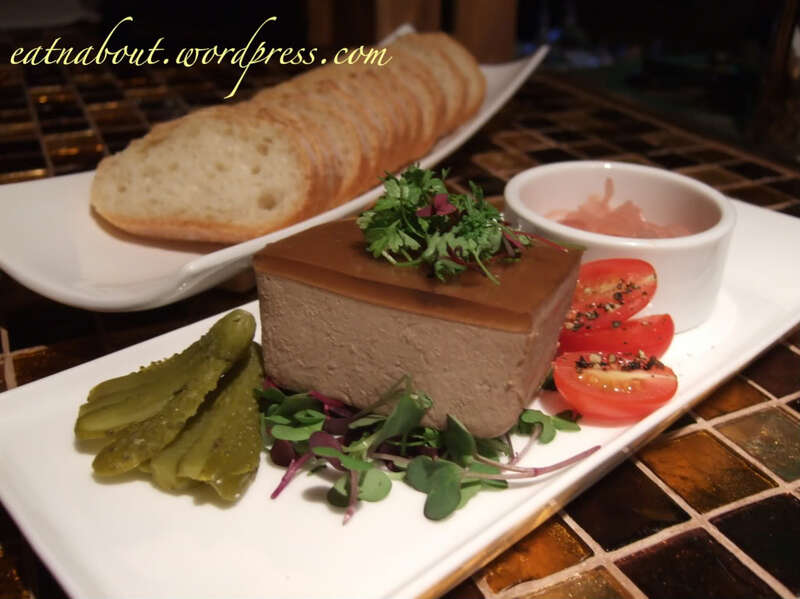 Pate au Foie Gras de Canard (French) – Duck liver pate, pickled red torpedo onions. What can we say? We love pate. This was very smooth and rich, and had really intense flavor. Come on! It’s pate! I can’t say anything bad (tastewise) about it! And that was it! The end of our fare! 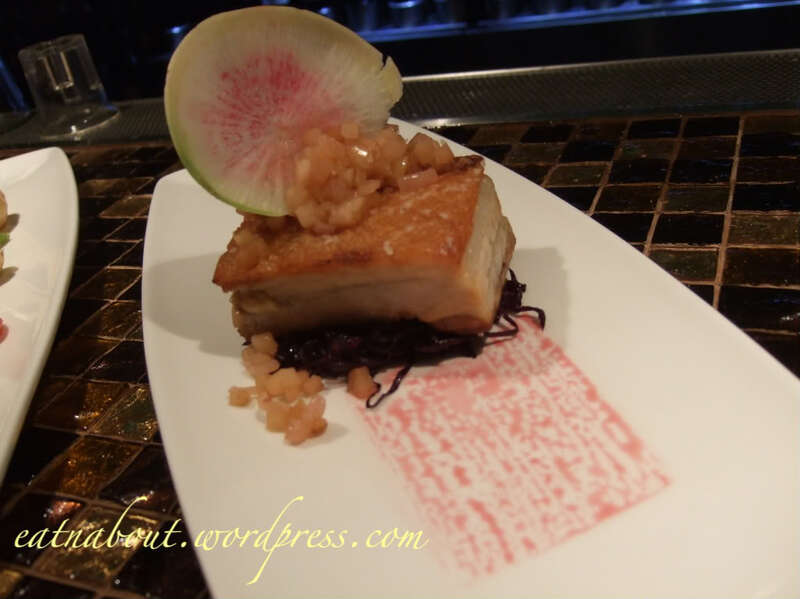 Berkshire Pork Belly (BC) – Hibiscus braised purple cabbage, cipollini onions braeburn apple compote, braising jus reduction. Sis and I both decided we were very likely to come back to try out their other dishes. Sis really liked their concept, as it means that they are constantly thinking of new ways to test the palate. Unlike many other restaurants, which seem to be pretty stoic and static in their menu, r.tl has put themselves to the test to churn out a new menu with multiple new items every 3 months. This sets them apart from other Yaletown restaurants and we wish them every success. Yeah, Geoff Peters was there (I was sitting at the same table as him) – it was a pretty tasty evening out. It was too bad that you chose not to go. I would’ve gone just to try out their food, and then go back later on my own terms for comparison. Wow Wendy I am so happy for you!!! 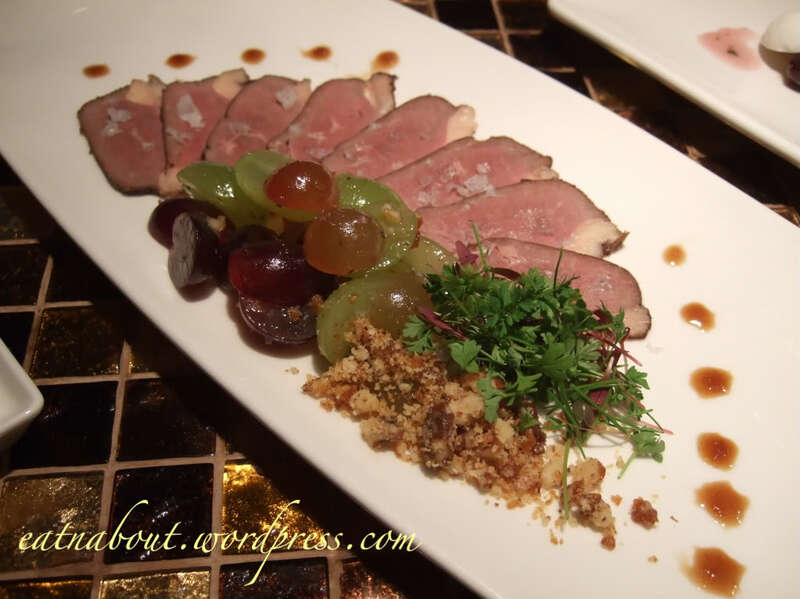 getting invited to tasting events like this means your blog is growing!!!! I do like your picture and comments, they are unique in their own ways.